Dr. Flloyd Carter, MBBS DM MRCP(UK) FACP, a native of Barbados, completed his undergraduate and postgraduate training at the University of the West Indies. He obtained his gastroenterology training at the McMaster University and received additional training in pediatric gastroenterology. He serves on the consultant staff at Doctors Hospital. He is a fellow of the American College of Physicians and a member of the American College of Gastroenterology and the Association of West Indian Gastroenterologists. His research interests include Helicobacter pylori in the Bahamas and Cochrane Metanalyses. 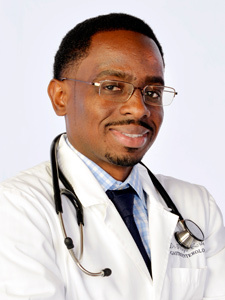 Dr. Carter is a gastroenterologist at The Centre For Digestive Health and is part of the medical team that has collaborated with Family Medicine Center to make comprehensive gastroenterological services more conveniently available to the western side of New Providence.